The name of the plant is amaranth. It’s a high protein grain that has a wonderful balance of amino acids. Mexican Aztecs and Peruvian Incas probably knew more about growing the grain than we know today—it was that important to them. African women farmers like Dorcas and Casee taught me a lot about growing in their dry conditions. I used to appreciatively call them “my mwalimus,” my teachers. 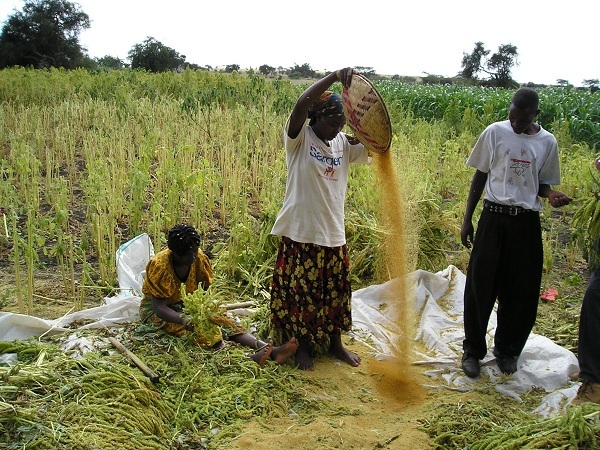 Starting around the year 2000, African people have shared with us that eating grain amaranth every day helps malnourished children start to grow normally, people living with AIDs to recover vigor and appetite (if they are also getting the anti-retroviral medicines), and type II diabetics to feel much better. There’s a lot of God’s grace in a grain of amaranth! That’s a wonder all by itself. 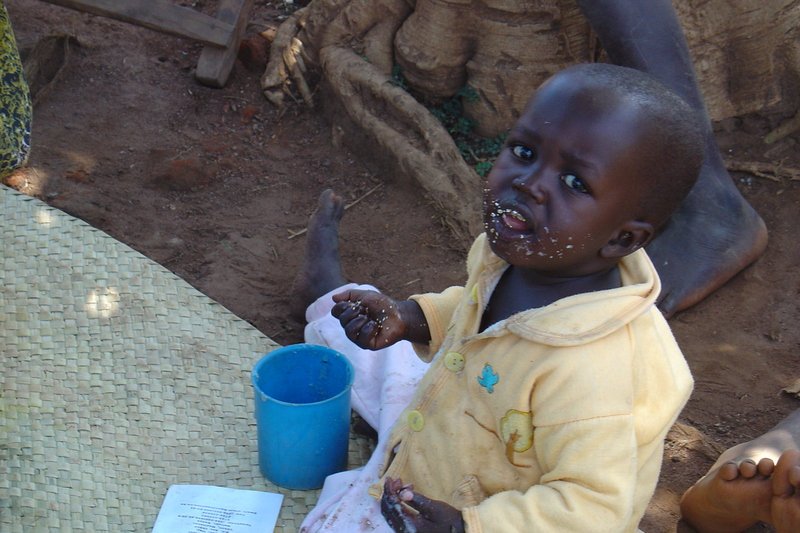 The little kid below is having fun eating the popped amaranth grains! I feel that the wonder of the amaranth story I’ve traveled is that when I first got some seeds and tried it in Oaxaca, Mexico in 1984 it did not grow very well. Then, about 20 years later, when we tried it again in Africa, it became a big blessing to the people. And, now it’s a lot of fun to have kids in the United States try to grow it, thresh it, and eat it like the people in Africa do.